After squatting 100 pounds, it becomes increasingly difficult for your body to stay energized for the remaining part of the day. Working out has been segregated over the course of time to numerous time-efficient oriented programs such as HIIT, Till-failure drop set, 21 days dynamic sets, and much more. However, you need to keep in mind that everyone does not possess similar body structure and durability. It is imperative to give time for a regular workout, but it is equally important to let your body take a much-needed break from the rigorous onslaught it takes during gym hours. To create a better understanding here are few things that will keep you energized and prevent unwanted muscle loss. In their bid to stay in the game and prove your resilience, many have suffered from a sore back or a muscle sprain. To be honest, it is a fool’s play to ask your body to pull off a heist even when most of the energy has been drained out. Romanian deadlifts can cause extreme pain if you lack concentration or choose to ignore potential injuries just for the sake of completing a set. Rest is important, and one needs to respect that. For example, in between an inhumane leg circuit and core training, it is advisable to take a day off to let your tissues rebuild. However, refrain from taking long breaks during an ongoing gym session as the body tries to cool down resulting in a lapse of dedication. Workout break is advisable, which generally run up to one minute or less to provide the body enough to regain energy. Anything that exceeds limit can be deemed as dangerous, and overtraining is no different. It is no rocket science that our body needs time to replenish after a thorough workout routine. Muscle glycogen (energy stores) drain after a prolong period of huffing and puffing, while muscle tissues tend to break down, which needs your immediate attention by keeping at least 24-hour gap between the present and next day workout. Barring injuries, undernourished muscles give up halfway through your workout leaving you with Sylvester Stallone mentality to touch the finishing line, and to be honest there is no need to go Rocky Balboa every time you step inside the gym. Have you ever felt devoid of any earthly communications after a tenacious workout, but suddenly your day job beacons and you reach there with a dissatisfied look on your face? Well, that is what little rest and more exercise does to your body. Stressing out is a normalcy in India, and on top of that, if your gym instructor is giving you a hard time, it is obvious you need to set your priorities straight. Hormonal imbalance might surprise you at first as side-effects of overtraining, but irritability, lack of enthusiasm, and constant finicky attitude are a sign of disrupted hormone levels. Women face irregular menstrual cycle as a consequence and often restore to consumption of desserts and fast food nullifying all the hard work they put in throughout their workout course. Those fancy dinner parties with family or chilling times with friends are moments to savor, but what happens when you have returned after a failure set, and your friends ask you to join them for a coffee session? Of course, you cannot, and that is the importance of rest and sleep. You need to balance your social life alongside your gym regime, and focusing too much on the latter will do you more harm than good. The human body needs to replenish from time to time, and protein shakes have made the task much simpler, but our body seems to want more and more. In the quest for extra nutrition, we end up hogging meals that are bound to have negative effects. There are few fitness experts who love to have a sumptuous dinner while skipping everyday breakfast and supper, but it is advisable to eat proportionately throughout the day, and more so if you aren’t a fan of protein shakes. It is one thing to maintain a compact physique and shape, and a whole other thing to drain all your energy at the gym. Keep yourself fit and running, but it is imperative to give your body the much needed rest it deserves. 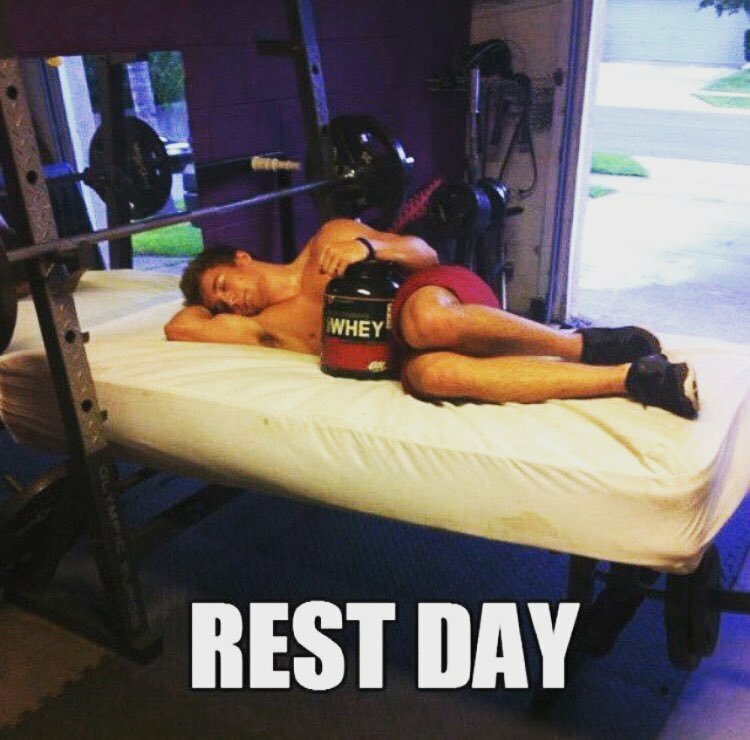 Why Rest and Recovery is important? 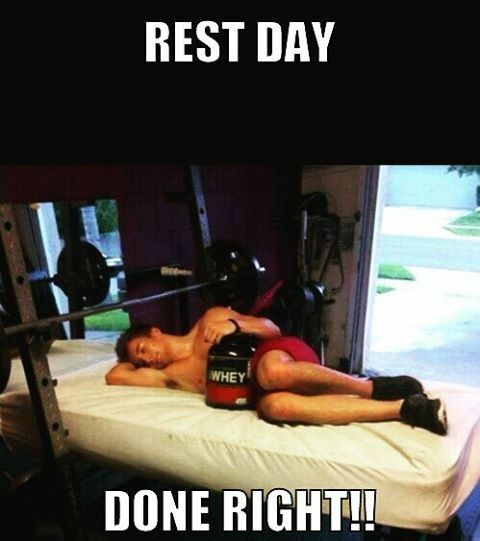 Why Rest Days are Important?